As a Sensitive Introvert, your nervous system can get quickly overloaded from relationship conflicts, job stress, and sensory input from things like bright lights, loud noises, crowds, and strong chemicals. And trying to keep up with your ever-ready-energizer-bunny non-highly sensitive extraverted friends can leave you exhausted. Plus, those things just don’t bother them in the same way, which can leave you doubting yourself. Your life will be so much easier if you stop comparing yourself to the other 83% of the population, and come to grips with the fact that sensitive introverts require daily downtime. This doesn’t just mean 8 hours of good sleep. It means meditation and deep relaxation. If you don’t build this into your schedule, you will most likely pay the price. Anxiety, depressed mood, chronic fatigue, pain, insomnia, fibromyalgia, irritability and damaged relationships are common problems among sensitive introverts. 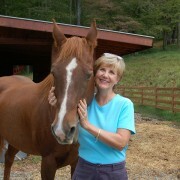 We’re a lot like high-strung racehorses, and need to treat ourselves with as much tender care as we would such an animal left in our charge. To have the fulfilling, happy life you want and deserve, self-care must shift to the front burner of your life, every day. Your health will improve, your relationships will be more harmonious, and your work will be more creative. And it’s more effortless than you might think. It will help you cultivate clear thinking and manage your emotions. 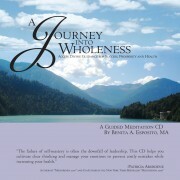 This CD, “A Journey into Wholeness,” will help you bring self-care to the forefront of your life in a simple, easy way. 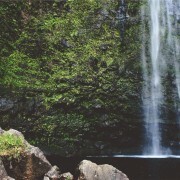 I know it can feel overwhelming to devote time to self-care, meditation, and deep relaxation. I also know how incredibly important it is for you to function optimally. And the truth is, you don’t have to devote a lot of time to self-care. It just has to be effective. I’ve designed a flexible program you can use on your own schedule and in a variety of ways — one that you can easily adapt to your lifestyle. Here’s What You’ll Experience On Your Journey. 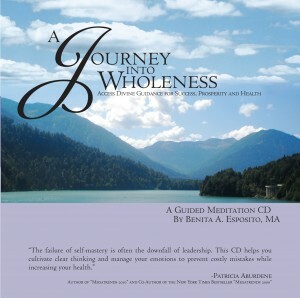 The “Journey Into Wholeness” CD includes 6 tracks, each designed with a specific purpose. I’ll introduce you to the meditation process, how it works, and give you guidelines for how and when to use the CD (and when not to use it). I’ll guide you through deep breathing and relaxation processes. Psychologists call this an active imagination process. 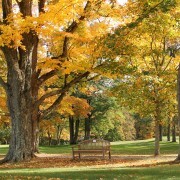 You begin by choosing a beautiful safe place for your experience that’s just right for you. This track is 12 minutes long. 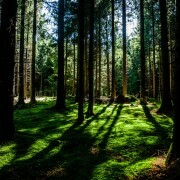 I recommend that you use it as part of your daily routine to calm your nervous system. You can also use Track 2 as many times a day as you like when you are under stress. When you use this CD often, you will be able to access these relaxation skills on demand, wherever you are when you most need a calm, clear head — even in the heat of a crisis. You ask for assistance from your spiritual connection or your wise self. Track 4: Meeting Your Wise Guide (3:29) You strengthen your spiritual intimacy. If you’re a Christian, your Wise Guide will most likely be Jesus, God, or the Holy Spirit. It’s totally up to you. Track 5: Receiving Guidance (22:00) Every time you listen to this meditation, you’ll focus on a question or challenge that you want to resolve. The more you listen, the more you’ll be able to receive insights and have aha! experiences. These tracks help Sensitive Introverts excavate your deepest insights, most creative ideas and highest wisdom. When your inner critic fills your head with negative chatter and makes you anxious, use Track 6 to calm your mind and focus on helpful thoughts. These affirmations are designed to help you develop spiritual intimacy, the source of all wisdom and power. You’ll increase your ability to stay present and love yourself even when you have uncomfortable emotions. Your self-esteem will also receive a boost. You’ll feel a deeper sense of inner peace, and you’ll develop a compassionate relationship with your body. When you use this CD repeatedly over several weeks and months, you will reprogram your beliefs and calm your nervous system within 5 to 10 minutes. You’ll cherish yourself more as a Sensitive Introvert, and everyone around you will benefit because you’ll be calmer and less irritable. $17.95 + $4.95 shipping & handling in the U.S.
Tax added for Georgia residents. Orders are shipped within 3 business days of payment receipt. You may return your CD for a full refund within 30 days of purchase for any reason. “Your voice is so soothing and comforting—it was just what I needed. I love connecting with the Divine and resting there. I am still floating. You have done a masterful job. My sister asked me for a good meditation tool recently after her husband of 32 years passed on. I was at a loss for a satisfactory way to introduce her to meditation, but now I can give her this CD.” – M.S., Farmer, Iowa. Questions? Prefer to order by phone or by email? Requesting international shipping? Interested in quantity discounts? Click here to contact me for more details.